It is possible to find a delicious brunch or yummy coffee and cake without heading to one of the busy inner city restaurant hubs. Located inside Garden Way Home and Garden Centre, Verdant Café offers delicious affordable food and excellent coffee, with plenty of parking and no crowds. This café is located within a nursery. 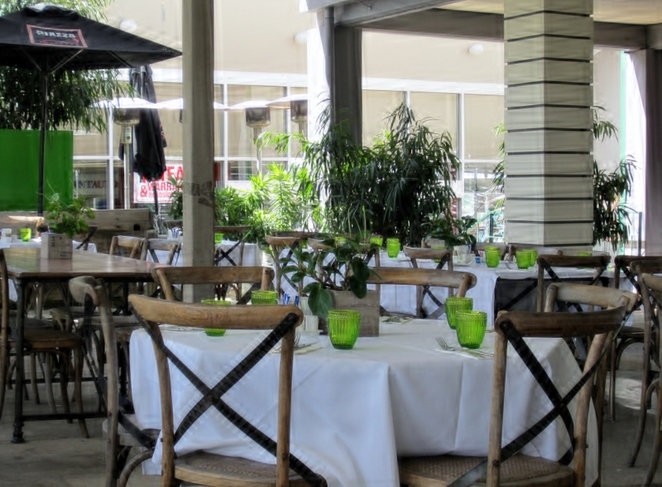 Your dining experience takes place within a lush botanical setting. 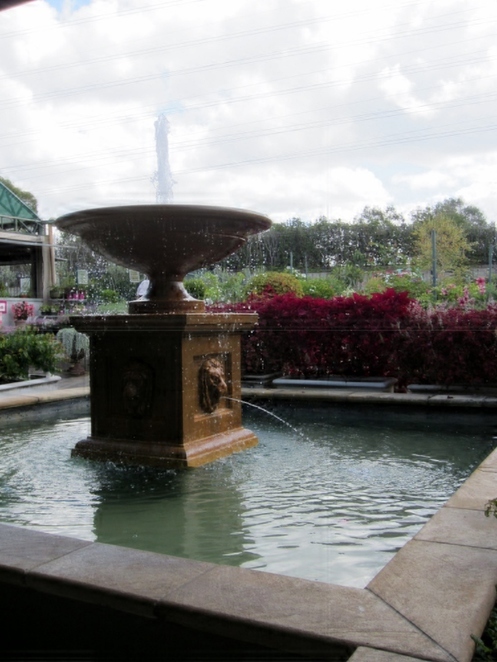 Relax to the sounds of birds and the water fountain while you enjoy your meal. The menus at Verdant pose quite a problem. Everything looks so yummy you'll have trouble choosing just one thing! 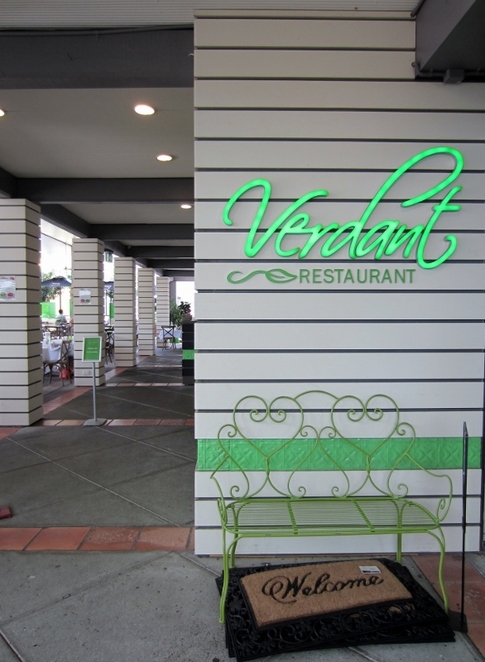 Verdant offers a breakfast menu and a lunch menu, as well as a selection of cookies, cakes and quiches. They also serve cold drinks and coffee, and are licensed. The breakfast menu is vast, ranging from the Verdant full breakfast, to smoked salmon and avocado with eggs, to fruit toast with lemon curd and everything in between. You can also indulge your early morning sugar cravings with homemade apple and maple pancakes or banana bread with maple and cinnamon cream. For lunch, there is a range of salads and sandwiches if you are in the mood for something light. If you've got a bigger hunger to satisfy, there is sure to be a main meal that appeals to you. Pan fried Atlantic salmon, Thai chicken and a lamb burger are a few of the tasty options. And after lunch make sure you check out the cake cabinet. Everything looks amazing, but the vanilla and apricot cake is my favourite. Red velvet cake is always hard to resist too. Gluten free and vegetarian options are available across all of the Verdant menus. Prices range from around $7, to $30. You can view the Verdant menus online here. Children are particularly well catered for at Verdant. They provide high chairs as well as a picture and coloured pencils to keep the little ones amused. There kids menu is impressive. For breakfast, your child can enjoy poached eggs, sausages or pancakes, and for lunch fettuccini and pizza are among the options. All kids meals are $9.90 and are served with a glass of juice and an icy pole ice block. The staff at Verdant are prompt, attentive and friendly. They deliver excellent service without being pushy or intrusive. If you can't make up your mind what to eat, they'll be more than happy to offer a suggestion. Ample parking is located in the Gardenway car park. There are also toilets and basic baby change facilities available. After you've finished your meal, head inside and check out all the gorgeous homewares on offer. Or look around the nursery and get some inspiration for your garden. If you wander around for long enough, it just might be time for another cup of coffee. And, of course, a slice of cake. Why? For a delicious and calming dining experience.